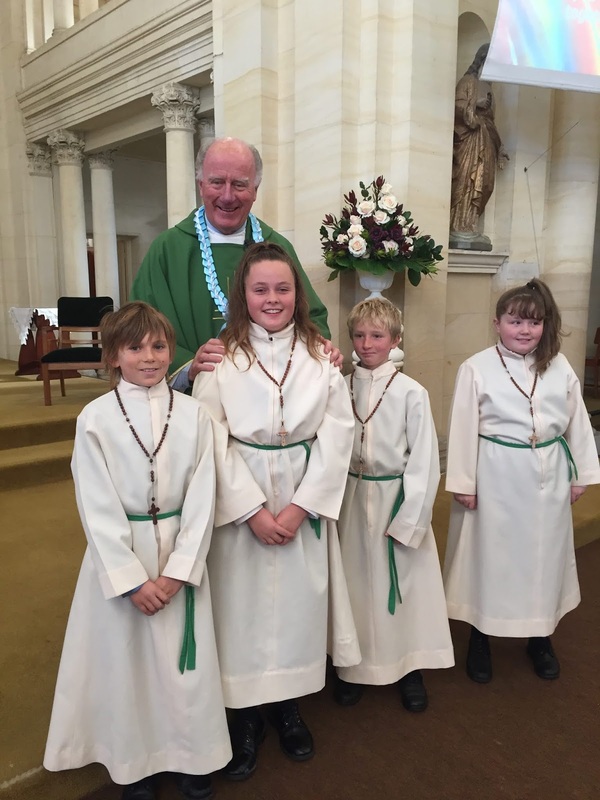 We congratulate Fr Wayne today in celebrating forty three years as a priest. Blessings to you Fr Wayne and we appreciate all of your guidance and support for our school and parish. On Wednesday 27 June the teachers from St Joseph's will be attending a NZEI Te Riu Roa paid union meeting regarding the Kua Tae Te Wā - It’s Time campaign. The campaign aims to free teachers to teach and principals to lead, by getting the additional support and staff that schools need. Teachers will be leaving school on Wednesday 27 June, to attend their paid union meeting which starts at 2pm. Parents are asked to make arrangements please to pick your child(ren) up from school on Wednesday 27 June before 1.30pm . Please sign the children out of the office otherwise we have to spend the afternoon making phone calls and chasing up on the whereabouts of children. If you are unable to pick your children up then, please advise the office so that your children can be supervised until 3pm. All Yr 7 & 8 children still go to Technology as per usual. Senior Production- This week students from Year 7&8 auditioned for the Jumanji -The 4 R's Production and congratulations for those awarded a role. Teachers endeavour that each student in both classes will have a part to perform on stage and to fulfil the off-stage roles like sound, lighting technicians and prompts etc..All classes have begun putting together songs, and dance to their individual parts. 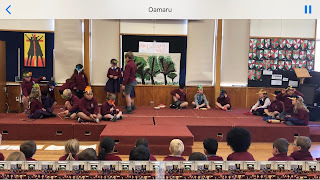 Our class performed a legend of how a kiwi lost its wings. We sang a song about a kiwi in the jungle. Mrs Klenner was narrator. Tane Mahuta was finding out who was eating his trees and asked the birds, possums and lizards. Kiwi came down come down to help Tane Mahuta down to the forest floor to the insects and grew strong legs instead.